Travertine is a kind of limestone precipitated by hot mineral springs called karst. The water movement from the springs abrades the travertine, creating cavities in the stones structure. The structure of travertine is similar to a honeycomb, where small pockets exist within the stone; these are exposed as holes in the surface when it’s cut into tiles. These holes can either be left open or filled by the factory making the tiles with some filler. 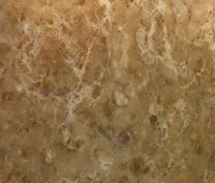 Usually, a resin filler is used in polished travertine. The travertine could be thought of as a kind of marble, but it is separated from the marble by its unique porous structure. Although travertens are porous like sponges, they are durable and very hard. It is preferred in exterior coating as it is easy to unearth, to pierce, to cut, an easy bonding agent, its color variety from white to yellow, beige and even brown due to a high content of iron oxide hydroxide. Sometimes there are veins of different colors on the surface. The traverten pavement is the most popular and highly preferred kind of natural stone carcass in natural stone upholstery. Traverten is preferred very much due to its unique appearance and the way it is formed. Each traverten appears as a unique color fluctuation in the caros. The most important feature of the travertine that separates itself from the other building materials is the non-slippery structure. Usually, it is used in pool edge coatings, garden flooring, bathrooms, kitchens. 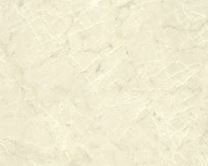 Travertine is produced both in vein cut and cross cut and they can be very different Stones visually. As a stone having natural cavities, it is recommended that it should be used in the filled format. Old travertines has an industrial importance. They are used in the production of surface covering stone, building stone, souvenir ornament, cement and lime. Touristic travertines are earth forms which attracts people’s attention due to its color. Besides, they must under protection because they are rare natural beauties. Travertine is highly durable and an extremely dense material sourced from Turkey. And this makes Turkey a leading supplier of the travertine for all the buyers from the world. The growth of Turkey’s export can be explained by its prices. In addition, Turkey’s stone offering value as well as quality.  Honed & filled Turkish travertine tiles are generally graded into three different categories as First choice , Standard and Commercial Choice. Most applications of Travertine from Turkey have focused on walls and floor tilings, and both for interiors as well as exteriors. Most famous travertine place is Pamukkale, which has been used as a spa since the second century BC, literally means “cotton castle” in Turkish. Very hot springs with a very high mineral content (notably chalk) arose at this location. The calcium and hydrogen carbonate react to create calcium carbonate (also known as travertine) and limestone. This is what gives Pamukkale its whiteness and created the pools. These calcified waterfalls/travertine are a UNESCO World Heritage site which makes Turkey unique in this kind of natural structure. Terraces have traverten pools , they are also stepped and lobed appearance. These are the most noticeable forms of piles. Waters from the pools are poured by forming waterfalls. The area also has natural traverten bridges. Formation of the current travertine still continues and Pamukkale is visited by thousands of tourists every year. LIGHT. Usually the same as Ivory. WALNUT. the colour is between Medium and Noche varieties. NOCHE. Tends to be dark chocolate colour.